The vision is to expand Porters into the adjoining Crystal Valley to create New Zealand’s largest and most accessible intermediate ski terrain, within one hour of a major urban area and international airport. 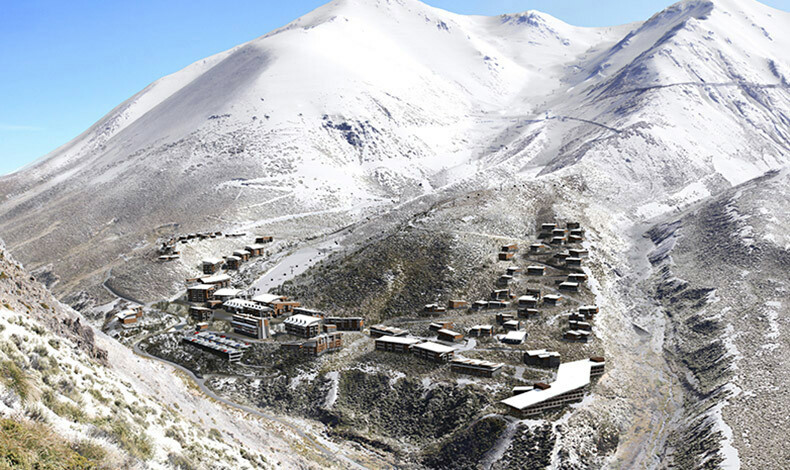 In addition the proposed development would have New Zealand’s first on-mountain village with gondola access to the ski area. Boffa Miskell has provided the following services to date: scoping of environmental and statutory issues; baseline studies for landscape and ecology; masterplanning of village; preparation of landscape and ecology assessments; 3D computer modelling (integrating engineering, architectural and landscape design for earthworks, ski terrain, mountain plan and village development); all project graphics – maps, report layout and presentation, visual simulations; project management of the wider project team in respect of environmental and masterplanning work streams (includes external consultants and client team); preparation of an Assessment of Environmental Effects; preparation of Plan Change and Section 32 report; consultation advice; strategic advice; liaison with statutory bodies; preparation and presentation of expert evidence; capital costings for landscape; and management of all key engineering and design files through BaseCamp. Masterplanning, planning, landscape planning, 3D computer modelling, graphics, visual simulations and ecology.